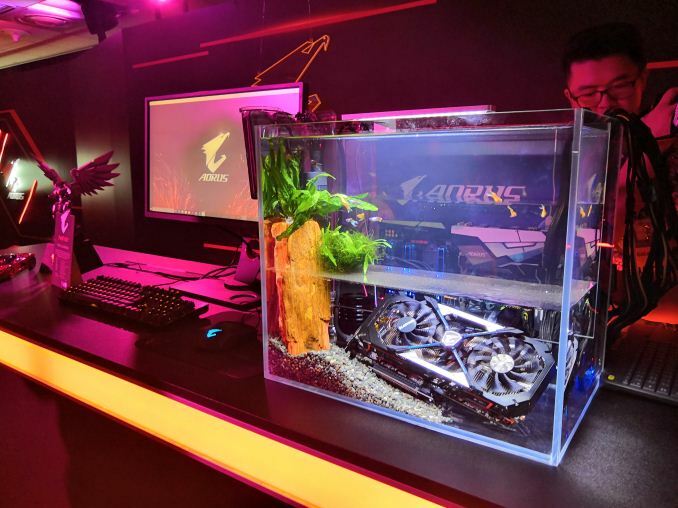 One of the more interesting designs out of the computer industry recently has been GIGABYTE’s fish tank PC build. 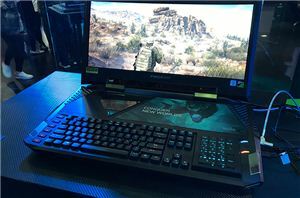 The concept is similar to a simple mineral oil or thermal cycling PC, however GIGABYTE doubled up on immiscible liquids by also adding a fish tank in the top half of a bifurcated system. The fish have lived in the top part for two months now, and the other liquid in the system is a 3M Novec/Fluorinert variant as we have seen about a hundred dozen times before. 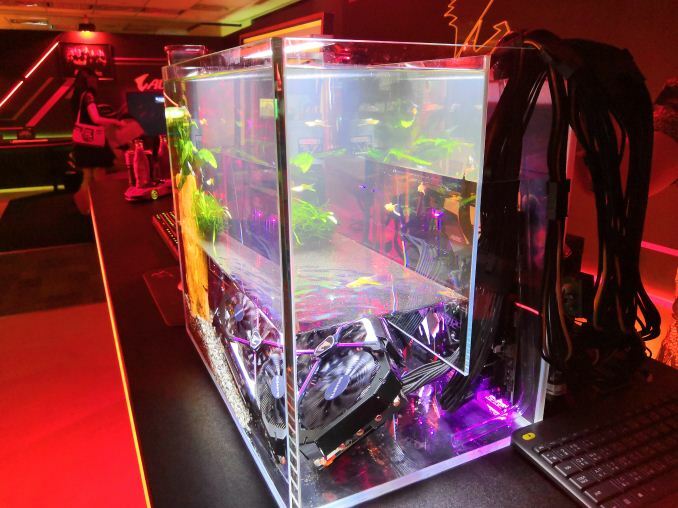 What I wanted to point out about this system was not the fact it has fish, but the liquid cooling loop. 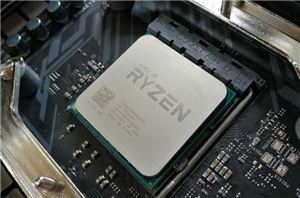 Normal water cooling involves a pump and a radiator, with the radiator having lots of fins and fans to push the water through and remove the heat. 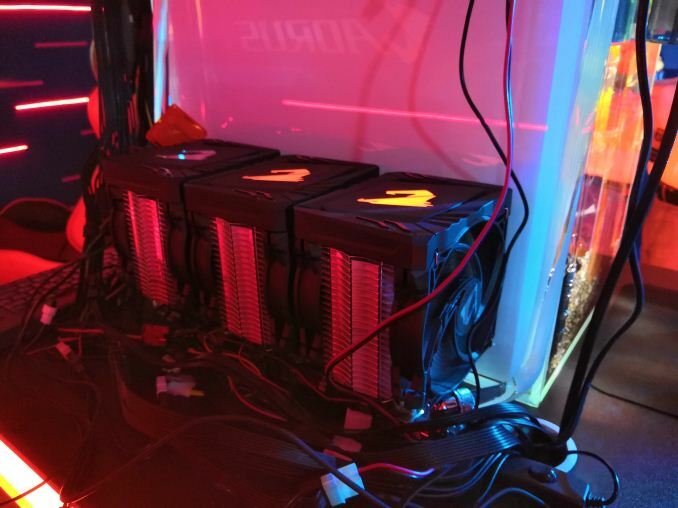 For this system, GIGABYTE did it a little differently. 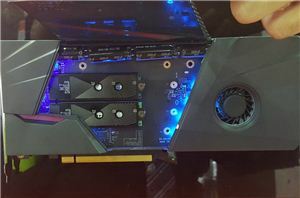 Instead of a radiator, GIGABYTE used thermal blocks connected to standard CPU heatsinks and fans. 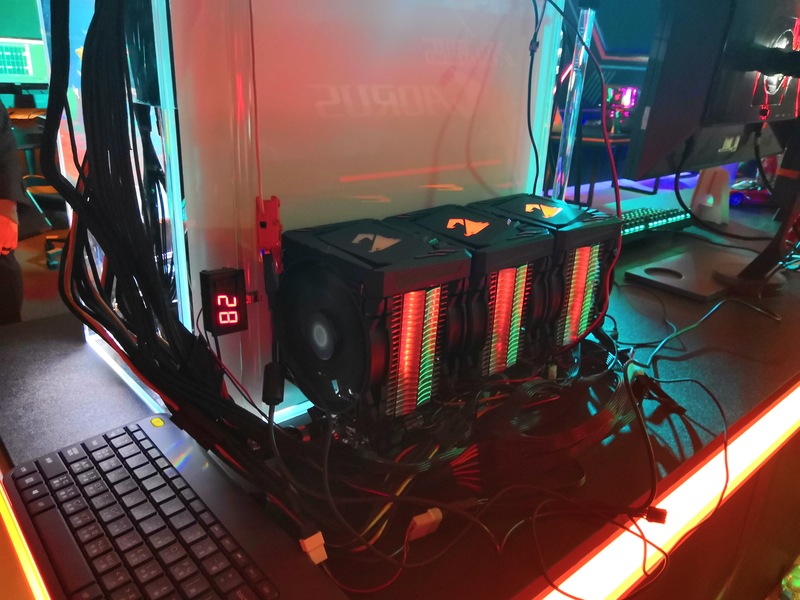 The result is three CPU coolers connected to thermal blocks and they take the heat away. It is an interesting idea, especially when dealing with non-traditional liquids. For any system builders and modders out there, it would be interesting to see this done in a traditional PC. Surely this will result in three-eyed fish.